Jesus calls us to serve each other, our community, and our world. 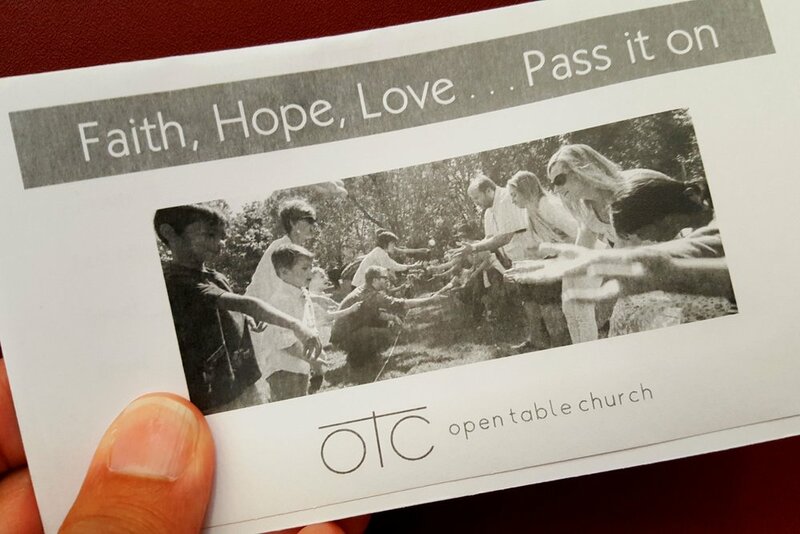 There are many ways to join in the work that God is doing at OTC. Contact Sierra to get started or find areas to serve here. To shine God’s light in our our surrounding community we serve in various ways throughout the year. See the current opportunities or contact Jared Park if you have any questions. To help people around the world know God’s love, we support some great people and organizations including Compassion, Samaritan’s Purse, Mercy Ships, and Joshua GS in India. Contact us for more info. God is generous to us, so each month give we away 10% of all donations received to help people in need, both inside OTC and beyond. Open Table Church is a tax-exempt 501(c)(3) religious non-profit supported by the generous giving of our friends and members. Donate here.